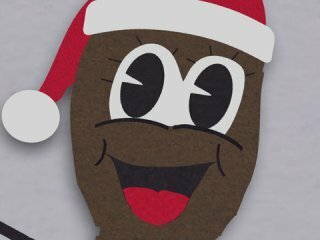 South Park Episode 110 - "Mr. Hankey, the Christmas Poo"
The four boys are at Cartman's house watching the "Terrance & Philip Thanksgiving Special" on television. During a break from the show, a Sally Struthers commercial convinces the boys that the prospect of a free "Taiko" sport watch with a five-dollar donation is irresistible. Typical greedy American youth. So Stan dials in, using his mother's credit card number and makes their donation.